I love to bake- not that I have done a lot of it lately. When the kids were little, I did a whole lot of baking. We lived about fifty miles from the nearest town, in the mountains, almost in the back of beyond sort of place. I loved it! ( My sister called us The Wilderness Family!) But that meant there was no running to the grocery store for a loaf of bread or a box of cookies, especially in the winter time! I made everything from scratch, and I baked almost everyday, except Sundays. One of my friends would phone me every morning to ask what I was baking that day! I would bake bread at least twice a week- we could go through 15 to 18 loaves a week!! I would bake 30 dozen cookies at a time. Our kids weren't the only ones in the neighbourhood who knew where the cookie jar was -or I should say cookie jars as there was about a dozen them! Now, I get to share with you some recipes and some memories, and maybe you can share some of yours with us! I am going to start off with our favorite- Chocolate chip cookies! Then we can take a plateful and go visit Mama Hen #1 on her back porch! Cream together butter and sugar. Add and beat in eggs 1 at a time. Add the vanilla. 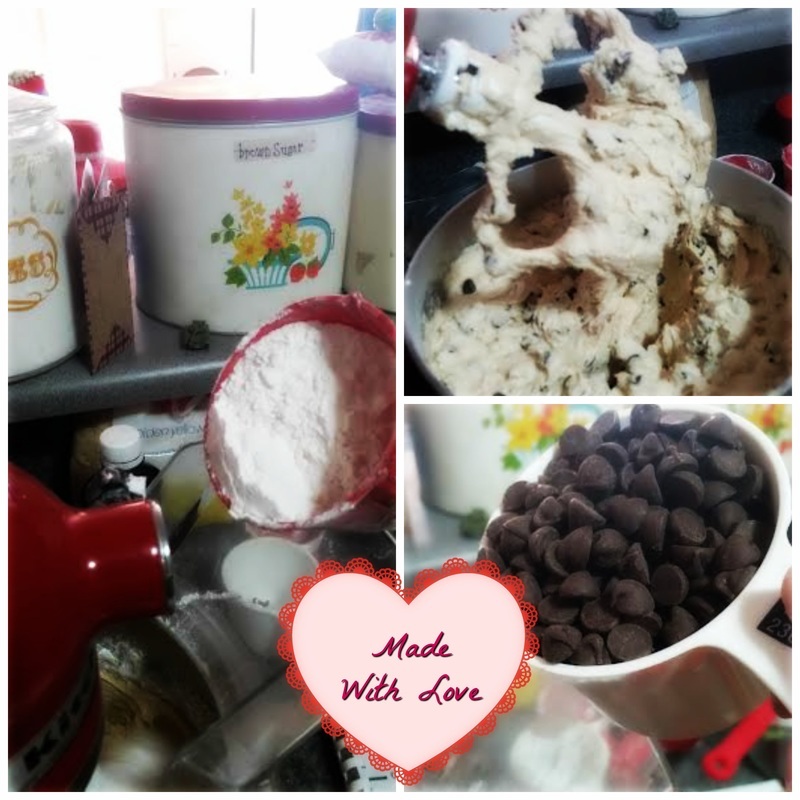 Mix together the dry ingredients, except for the chocolate chips, and add to the wet ingredients, mix well. Stir in the chocolate chips. Drop by spoonfuls onto greased cookie sheets. Bake in 350 degree oven for 10 to 15 minutes.